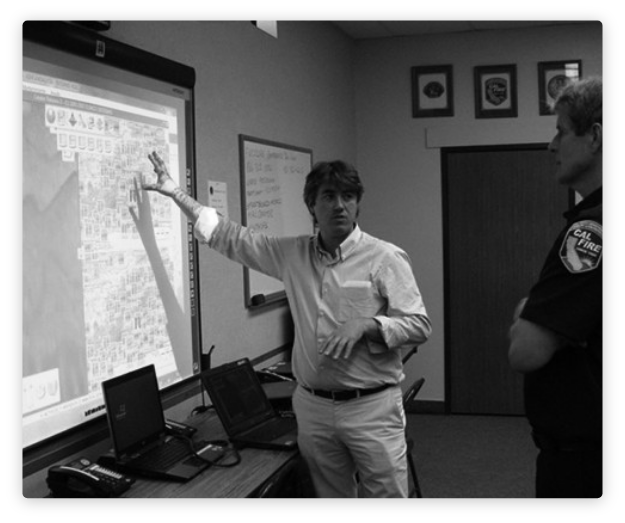 Technosylva provides advanced GIS-enabled software solutions for wildfire protection planning, operational response & firefighter and public safety. Our solutions encapsulate years of forestry and wildfire experience into efficient, timely and responsive applications – on desktop, web & mobile platforms. Technosylva offers a range of subject matter expertise, consulting services and software development capabilities unparalleled for Wildfire Risk Analysis, Fire Protection Planning and Fire Incident Operations. This expertise is encapsulated in our fiResponse™, Wildfire Analyst™ and Wildfire Risk Atlas products. Our solutions encapsulate years of forestry and wildfire experience into unparalleled capabilities. Enterprise wide software for wildland fire incident management, dispatching and resource tracking. Advanced state-of-the-art software for analysis of wildfire behavior and spread simulation in real-time. Tools for planners, decision makers, and the public, to utilize risk assessment outputs immediately. We complement our software products with seasoned consulting services for wildfire analysis & modeling, fuels mapping, wildfire risk assessment, and custom web & mobile applications development. Advanced state-of-the-art wildfire behavior and spread simulation real-time modeling. Enterprise wildland fire incident management, dispatching and resource tracking system. At Technosylva, we love to solve problems and craft solutions. Providing seasoned consulting services is at the heart of our industry leading software products. We are able to leverage our subject matter knowledge, technology expertise, and extensive partnerships to offer a suite of services for wildland fire and forest management professionals. To find out more about our core services and how they can help you, please visit our services page. Highly detailed fuel model delineation designed to support fire behavior analysis & risk modeling. Implementation of leading edge wildfire risk assessments at varying scales across the nation. Ability to accurately analyze potential fire behavior and conditions with Wildfire Analyst™. Encapsulating key information and tools into robust & customizable software applications. Built in California & Spain. © 2018, Technosylva Inc. All rights reserved.